THE ONLY BASEBALL & SOFTBALL POSITION-COACHING TOOL ON THE MARKET. THE ONLY TOOL TO HELP YOU COACH SOFTBALL DEFENSIVE ROTATIONS. InMotion Playbooks save you hours of time to do what you do best...COACH! 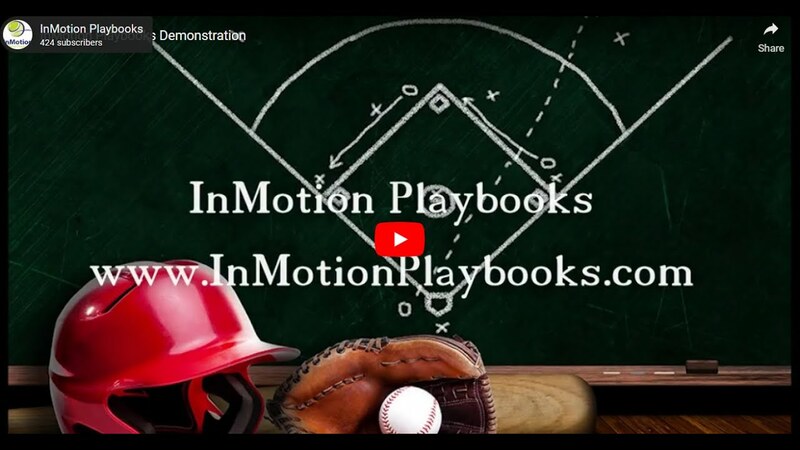 InMotion Baseball Playbooks and InMotion Softball Playbooks available. Animated interactive rotations for all game situations. Sign up now to receive exclusive access to animated practice drills and training videos. Set the field, choose the scenario and hit play. It’s that simple. Get your team on the same page at the same time. Perfect for youth and adult teams. Help players learn their responsibility, no matter the situation.